DIY Bathroom Mirror Frame Makeover. 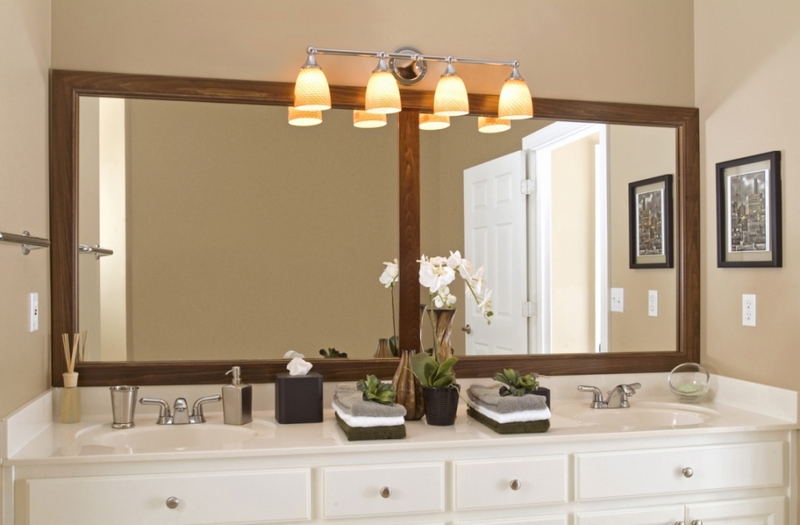 Decorative Frames for your bathroom mirror! 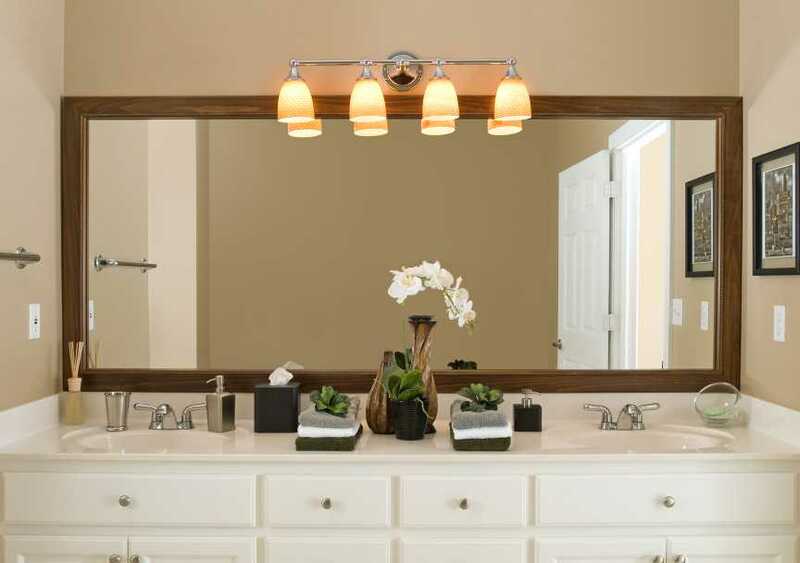 Our mirror frames are custom sized and precision made to fit over your existing unframed flat mirror and will totally transform your space, making it a color coordinated focal point - all without having to remove the mirror from the wall! Whether you have a frameless bathroom, bedroom or hallway mirror, our frame style selections are available in widths from 2 to 4 inches wide from simple clean line to embossed and ornate patterns, and you choose your preference of our paints or stain finish on most, which will include our 24/7 anti-microbial Microban® Performance Finish for your protection and the longevity of the frame. Options for our frames include mirror frame divider trim, frame cornice caps, mirror frames with convenient bottom shelves, and optional side shelves to help unclutter your vanity. Submit a Mirror Frame Worksheet to get a no obligation quote or submit a form along with your order! When you order a mirror frame, we guarantee it will fit!